Justin Bieber has greatly evolved since he debuted as Usher’s protege in 2008. His musical style has changed a lot in the past 8 years, and that has never been more prevalent than in his hit from last year, 2015, “Love Yourself”. The track is one of the most minimalist tracks to be released in the past decade, with only a few plucks of an electric guitar’s strings to accompany the simple clap beat. Bieber sings alone on the record, only harmonizing with himself on the chorus. This simplicity makes the song not only instantly recognizable, but also indefinately catchy. It’s an ear worm of a tune that gets stuck in the listener's head. Chucks in the changing room. 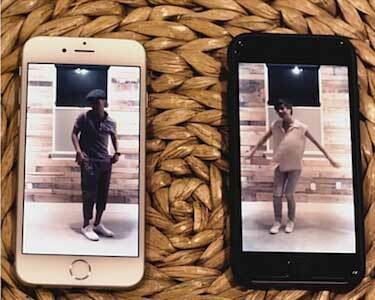 The video that accompanies the record is fittingly just as as simple as the track itself. It features a man and a woman living together. They never speak and only communicate through body movement and dance. 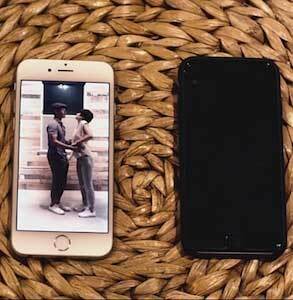 The woman in the video is shown to be very self-centered, as she constantly ignores her boyfriend. She loves herself more than she loves him. Eventually, the man can no longer take her vanity and leaves. Only then does she realize the mistake she’s made. Bieber does not make an appearance in the video, only offering the voiceover. He’s trying to hold onto her….. While the couple spends most of the video in their bed clothes, not wearing any shoes at all, chuck’s are featured prominently once in this video. As the man gets dressed he sports a pair of all white low top Chuck Taylors. They can be seen in the double cell phone footage, where the woman is also wearing a pair of all white low top chucks. They can also be seen while the couple is standing in front of the mirror. With the hottest song of 2015, and a very distinguishable video “Love Yourself” is sure to go down as a certifiable classic. … but she loves herself too much. Love yourself in a pair of chucks by clicking on the links below.